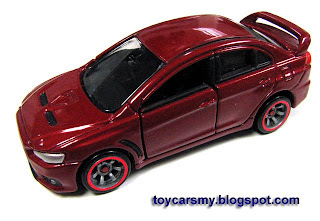 Market is going to fill-up with new Evo X. Until that, let me modify my Evo as 1st hand in the market. 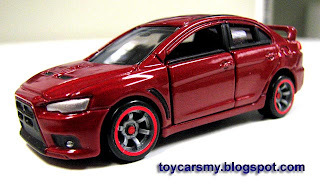 I have sourced a few types of wheels, but nothing fit Evo better than Hotwheels. In additional, te red rings on wheels just matched the body color perfectly. Remarks: The Ferrari come with plastic base, wheels removing is very simple. 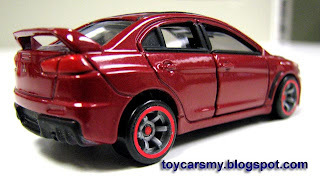 It is advice to look for cars with the plastic base for the easy removal.